First time I've seen this behavior close enough to try to use my phone to film it. White pelicans are known for cooperative fishing behavior. A group of pelicans work together to herd schools of fish into shallow water. 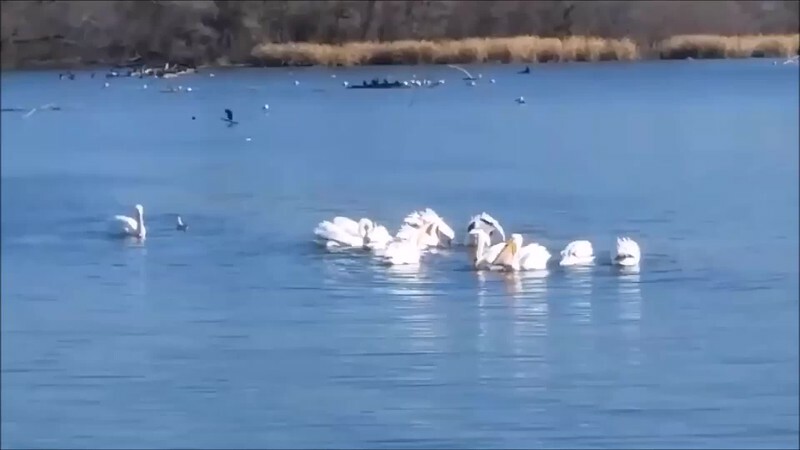 Then the pelicans bunch up and feast together on the trapped fish. They were close enough to the bank for me to get a little bit of video on my cell.